One of the great regrets of my life is that I have no artistic talent. If I did, there would be a cartoon here instead of a blog. It would show Stephen Harper and Jack Layton riding side-by-side on tigers. There’d be some kind of witty caption, but right now I’m too tired to come up with one. It’s funny that Harper used fear of a coalition to scare people into giving him a majority. All governments are won by cobbling together coalitions. So are all national parties. 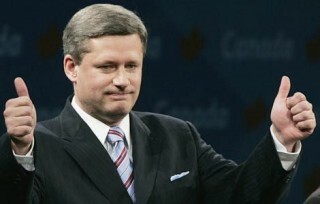 Harper has crafted a coalition that poses huge challenges for him. It consists of a core of western seats run by the old Reform party that tapped into Alberta anger over the National Energy Program, the Canadian Wheat Board, and being shut out of the federal bureaucracy by bilingualism rules. It was, like most western populist movements, anti-urban. Its natural enemies were educated, young, white-collar downtown urbanites. The Reformers and Harper Tories ran against Kitsilano Beach, the Beaches, the Glebe, and the Plateau. That was not enough to win government. 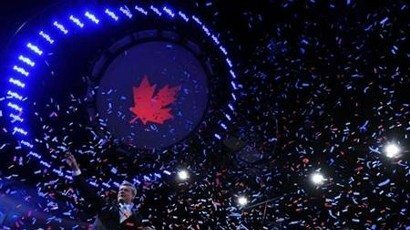 The minority Harper government set out to win the votes of new Canadians. That took considerable audacity. The party that shelters people who seek to tear down equity rules and human rights commissions sought to convince people from Asia that they were not racist.